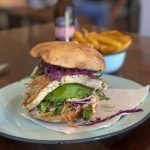 Well, thankfully, there’s no Number 14 Chicken with Chinese vegetables nor breaded deep-fried ice-cream with tinned lychees in sight at the new Chinese barbeque DUK in Byron Bay, but the food is guaranteed to please. 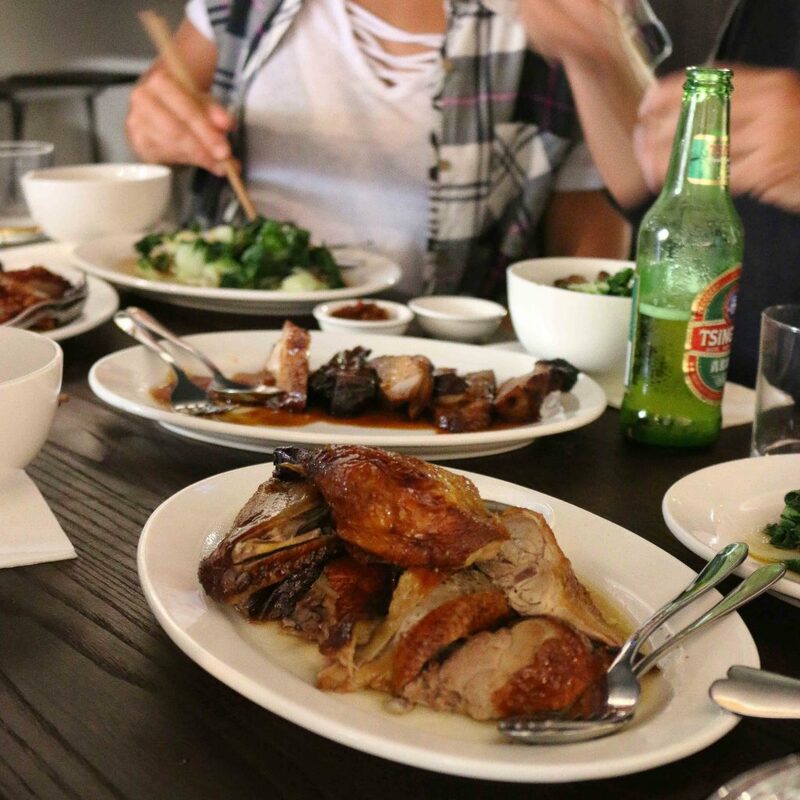 DUK is serving dinner seven nights a week in the style of a Chinese eating house. Tucked in behind The Beach Hotel, the canteen is the new kid on the block among some solid dining company, with Kura Japanese upstairs, long standing The Cypress Tree serving Mediterranean food at the westend of the lane and Red Hot and Green’s Asian flavours and Safya’s Egyptian inspired food at the east end of the lane among others. 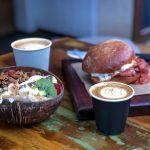 It’s a food lover’s laneway. 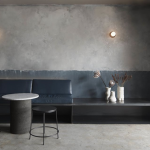 DUK’s décor is elegantly sleek and understated with a twist of Asian back alley mystery. 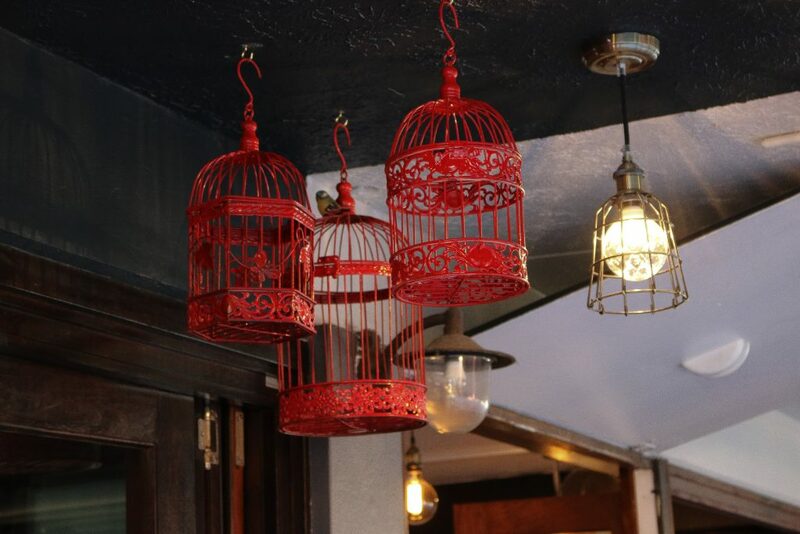 You’re drawn into the space by the fluorescent lit open kitchen at the rear of the restaurant where roast ducks and crispy pork bellies hang on meat hooks behind glass to entice. On the next wall, an oversized Chinese character mural boldly declares: “the tastiest duck in the bay”. On opening night, one passing Chinese tourist was rapt to recognise the writing and took a holiday snap on his camera as a memento. 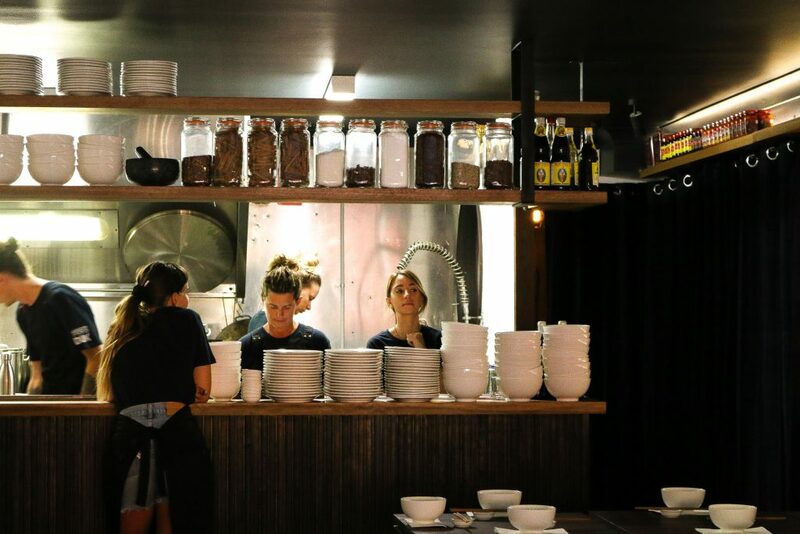 Diners at DUK in Byron Bay are neatly arranged on jet coloured timber stools and tables with simple white bowls and carefully placed chopsticks as settings. 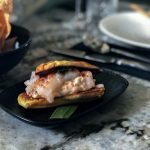 There are subtle touches of Chinese frippery like the lucky waving cat tucked on a shelf above diners waiting to pounce on any leftovers, sweet red bird cages catching the breeze out front under the awning and trays of intriguing house made condiments ready to accompany each dish on the menu. 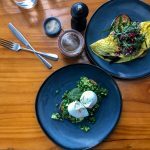 There are two ways to eat at DUK in Byron Bay– order mains to share for 2 to 4 people or order your own bowl. Try the twice cooked eggs with Sichuan pepper and salt and palate cleansing pickles to start. Follow up with roast duck, cleaver carved and flavoured with master stock and a secret Chinese blend. 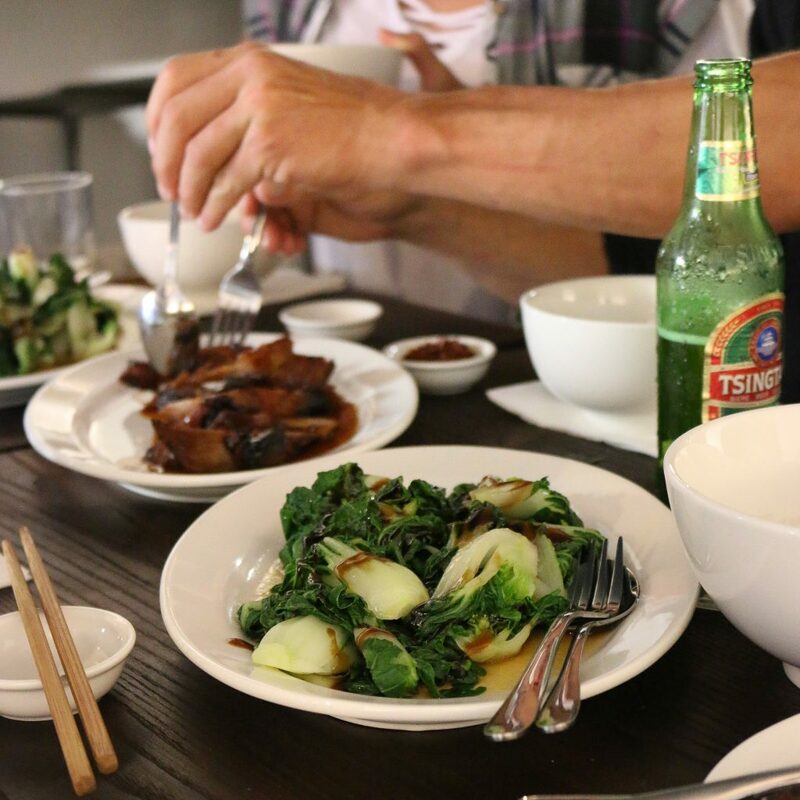 Cantonese style pork is served two ways; sweet and tender char siu or the ultimate crispy roast style with crackling. 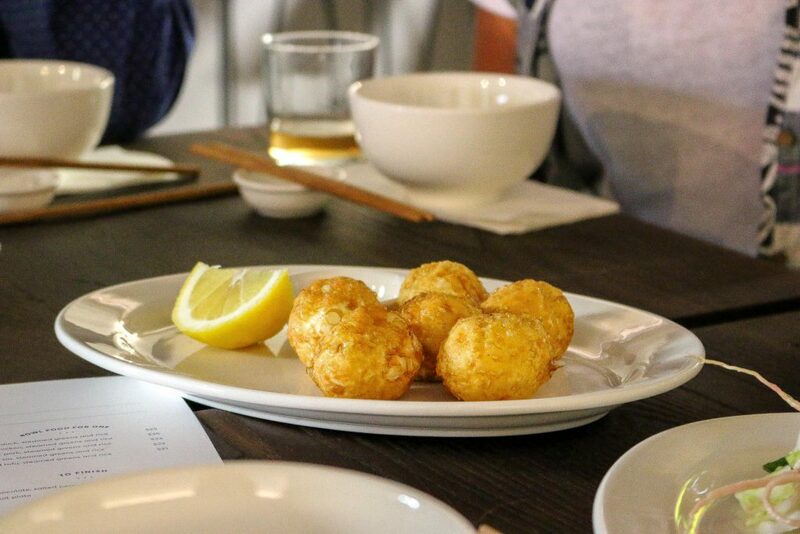 Don’t forget the lightly fried tofu – it would convert any naysayer. 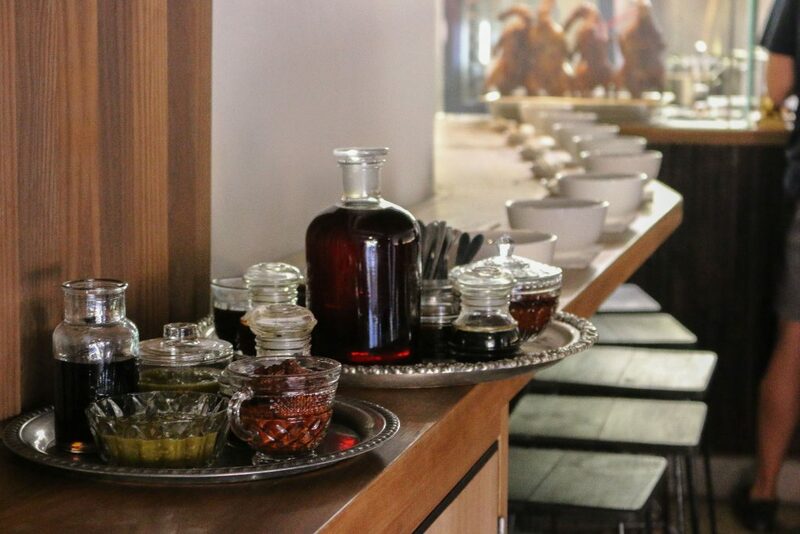 On the side are wok fried greens served with oyster sauce, rice and the matching condiments. For dessert, the salted chocolate peanut and five spice cake is out of this world. DUK it’s good. DUK in soon. Nice post! !The presentation of recipes is looking so good; Thanks for sharing! !